When you build a home with Roland Builder Inc., your home not only showcases the quality craftsmanship of a job well done, it also reflects a softer side that says, "Welcome Home." What began as a husband and wife team over 40 years ago has matured into a family owned and operated business. Working together, Lee and Rosalie and son, Brent Roland's commitment to exceeding customer expectation have earned them the reputation as The Premier Builder in Central Pennsylvania. Lee Roland began remodeling homes in 1976 with a desire to earn his living making people's dream homes a reality. By 1979, he built his first spec home. His wife, Rosalie, a part time accounting teacher at Messiah College, joined the business several years later. They understood that a person's home is a reflection of who they are from the inside out. Together, they met with clients to design homes, and in 1984 built their first "Custom Home." Forty years and over 350 homes later, they remain committed to the future of Roland Builder, Inc. Over the years, Lee has contributed to every stage of the building process; from staking out the house for the best street appeal and overseeing final inspections, to on site construction supervision. His meticulous eye for detail and expert craftsmanship stems from years spent as a finish carpenter. Over their many successful years, Rosalie has contributed her expertise in business development, pricing homes, maximizing floor plan designs for best function and flow, and suggesting amenities that provide homeowners with a home they will enjoy and be proud of from the moment they walk through the front door. January 1, 2016 marked the beginning of a new chapter for Roland Builder, Inc. Brent W. Roland was named President, and will be responsible for the future of the company. Brent grew up in the business and after working in the Information Technology field for 5 years returned to the family business in 2003. 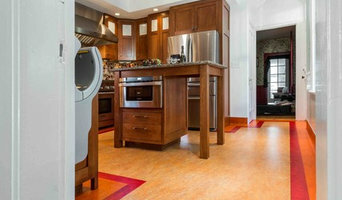 Since then he has brought expertise to information systems, marketing and advertising, and custom home design. Roland Builder prides itself on building homes of exceptional quality and impeccable design. It is this standard of excellence and commitment to quality that home buyers have come to expect when they want the best. 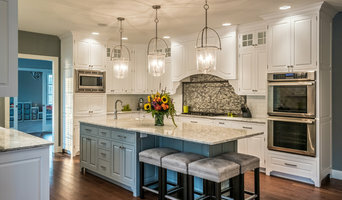 Arnie's Home Improvements is a Full Service Home Improvement and Remodeling Contractor specializing in Basement Finishing and Basement Remodeling, Bathroom Remodeling and Interior Renovations. Design-build firms take on the responsibilities of architects, contractors and construction companies, all under one roof. These full-service firms focus on a streamlined design-build process — from the initial design to the estimating phase to physical construction — in the hope of creating an efficient experience for both the client and the company. Because the entire project is happening within one company, Harrisburg design-build firms are able to overlap the design and construction phases of the project, which often speeds up the project significantly. In addition, these firms work to minimize risks for the project owner through single-point responsibility contracts. However, depending on the firm, you may still want to contact an interior designer or architect to help create the exact look you want. Here are some related professionals and vendors to complement the work of design-build firms: Interior Designers & Decorators, Landscape Architects & Landscape Designers, Architects & Building Designers, Photographers. Before deciding on a residential design-and-build company in Harrisburg, PA, think about what you want from your new home. Do you want a large kitchen for entertaining? Do you need several bedrooms for children and guests? Do you want a finished basement for extra space or storage? 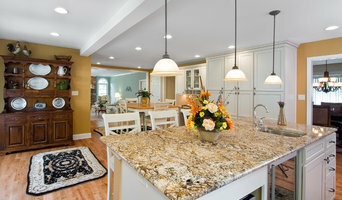 Look for Harrisburg design-builders that specialize in the areas you're looking for. Budget is obviously a determining factor in the outcome of your project. To make sure you stay within your means, consider making a must-have list and a wish list. Gauge where the estimates are falling to determine which design-build contract can realistically strike the balance between the two. 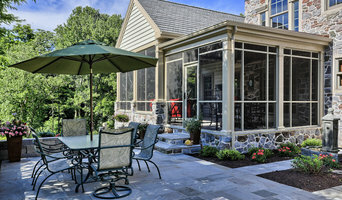 Find a Harrisburg design-build company on Houzz. Narrow your search in the Professionals section of the website to design-build firms in Harrisburg, PA. You may also look through Harrisburg, PA photos to find a pool you like, then contact the design-build firm that created it.